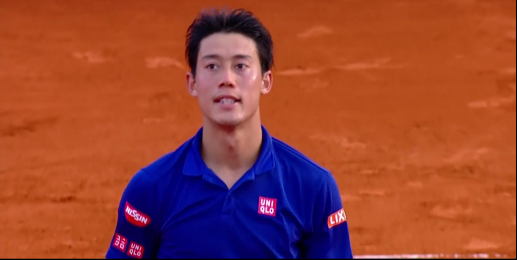 Kei Nishikori will soon turn 28 next month, and he is not a young player anymore. The World No. 22 is healing from a right wrist injury, and in a recent interview, he spoke to about the "NextGen" players. 'Seeing [Alexander] Zverev definitely made me feel old", Nishikori admitted in an interview to The Japan Times:'It’s rare to see a player that young play so well nowadays. I know I’m not considered a young player anymore. Of course, I feel pressure in that sense but that’s the reality. Young players are always aggressive and unafraid. That’s their weapon and I can learn from that.' Speaking about his recovery process, Nishikori added: 'I can’t say when I’ll heal from my injury so I’m trying not to rush anything. I’m aiming for the (Jan. 1-7) Brisbane International, but it could be February, or even March, who knows. I want to make sure I’m in top form when I’m back on tour so I’m in a position to win a Masters or Grand Slam title. I also hope I’m mentally stronger and hungrier next season. I know I’ve been away from competition for about six months because of my injury, but I hope to make it back into the top five. I know I can.